Today, the White House announced President Obama's appointment of Ford School economist Betsey Stevenson as a member of the Council of Economic Advisers (CEA). 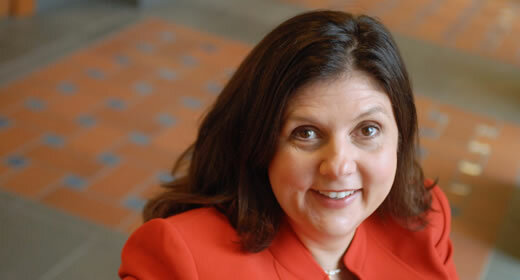 Stevenson is an associate professor at the Gerald R. Ford School of Public Policy at the University of Michigan. She is also a Research Associate with the National Bureau of Economic Research, a Fellow of the Ifo Institute for Economic Research in Munich, and serves on the Board of Directors of the American Law and Economics Association. "The Council of Economic Advisers plays a critical role in the development of our nation's economic policy," said Susan M. Collins, the Joan and Sanford Weill Dean of the Ford School. "Betsey is a very highly-regarded labor economist who cares deeply about the application of her work to real-world policy problems. We're pleased and honored that she was chosen for this distinguished service." Stevenson served as the Chief Economist of the US Department of Labor from 2010 to 2011. Her research focuses on the impact of public policies on the labor market and explores women's labor market experiences, the economic forces shaping the modern family, and the potential value of subjective well-being data for public policy. Stevenson will take a leave from the University of Michigan to serve on the CEA.